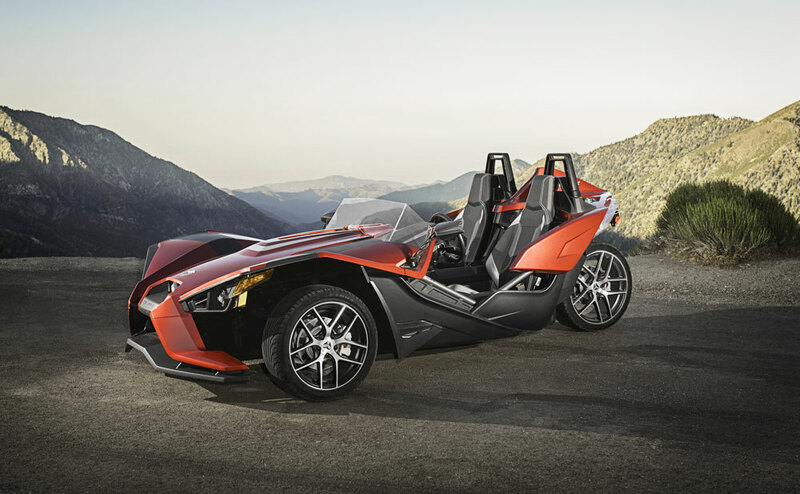 The Polaris Slingshot is a three-wheeled motor vehicle.It was introduced in 2014 as a 2015 model. 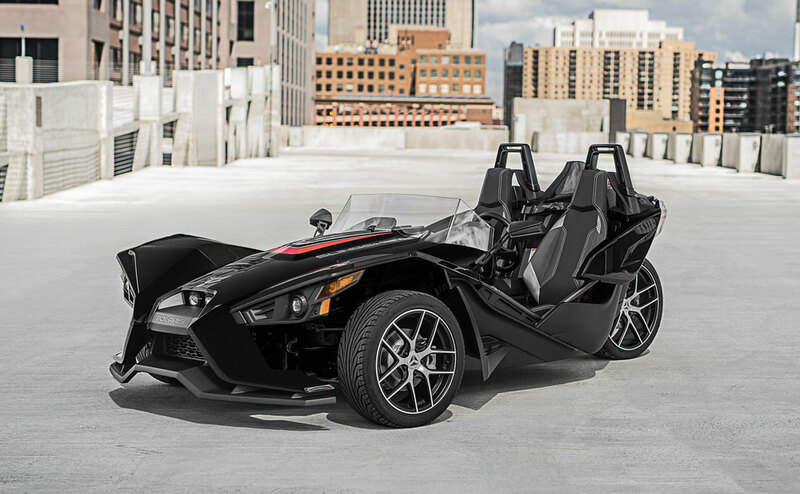 The Slingshot is manufactured by Polaris Industries, who claim "It's a three-wheeled motorcycle!" 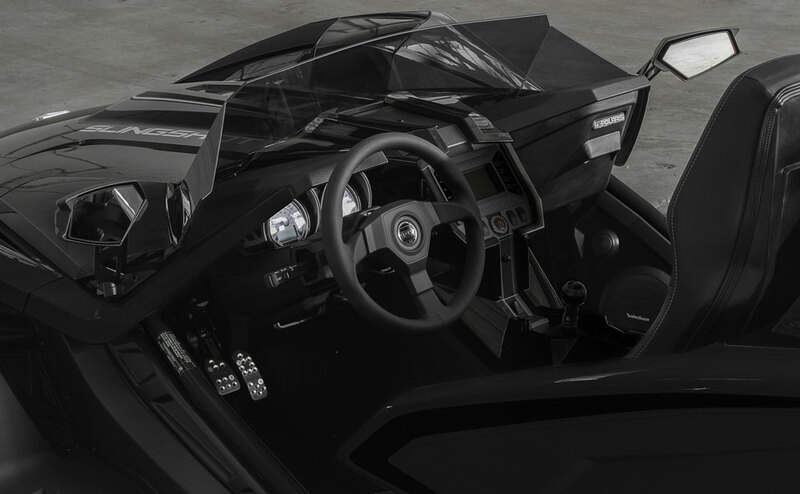 It has a tilt-adjustable steering wheel, side-by-side bucket seats, and does not lean. 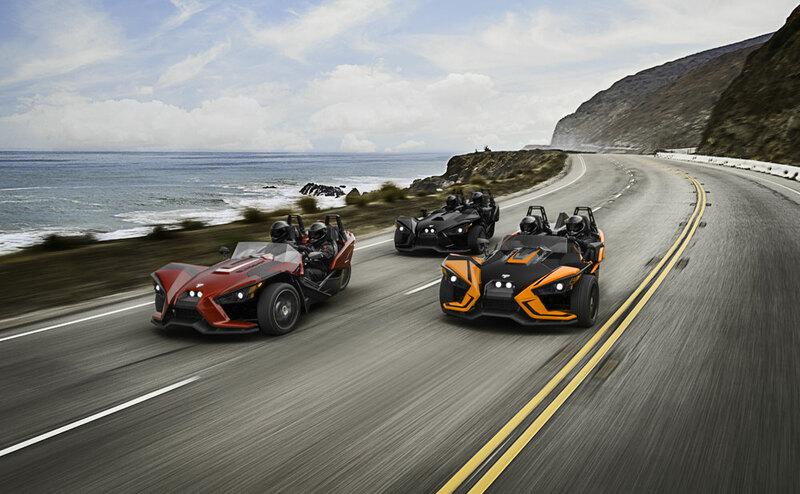 Three-point seat belts are fitted, however it has no airbags or crumple zone, and driver and passenger must wear motorcycle helmets in certain jurisdictions. It has no roof, doors, or side windows. A small windshield is an optional extra on the base model, and fitted as standard on the SL model.Steering wheel, gear stick, and brake, clutch, and throttle pedals have a conventional automobile layout. 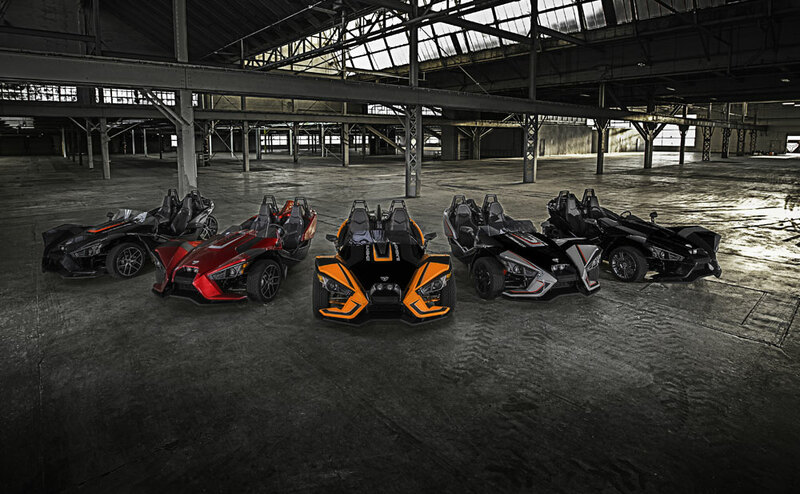 Depending on which state the Slingshot is registered in, it will either be registered as a motorcycle, or as an auto-cycle. Hawaii is the only state still legislating on vehicle classification.